When you start using SharePoint, or any software for that matter, getting used to the user interface and how to navigate in it takes time. It can even get frustrating if you struggle to find what you're looking for. So our SharePoint 101 series wouldn't be complete without covering what you'll be confronted with using SharePoint 2013. With this article, we hope you won't get lost or discouraged. Note that everything you'll see in this article is based on a Team Site in SharePoint 2013. 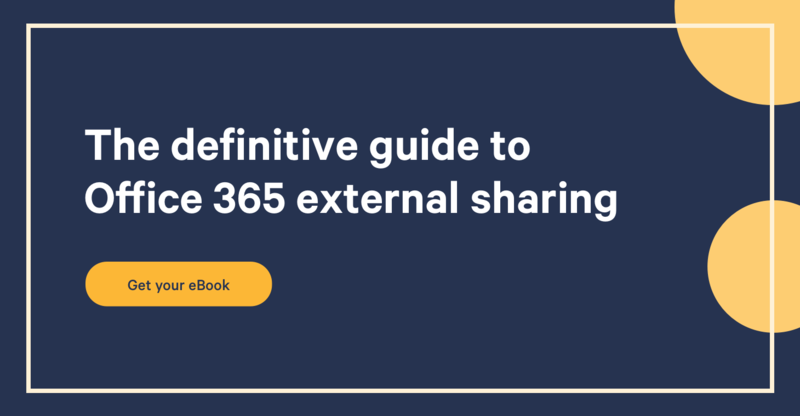 However, this article should help you navigate in any SharePoint version. The first thing that might caught your attention is the little squares in the middle of the page. It's just instinctive to start there, isn't it? SharePoint has them here for a reason, so starting from here would be a good idea. Those different boxes are shortcuts to create or modify different things in your site like your branding, your design, your apps, etc. SharePoint Lists & Libraries or SharePoint Apps? You won't see any apps in SharePoint if you're using an older version like 2010. In the SharePoint 2013 user interface, you can recognize the new Windows style that's now used in many Microsoft products. You'll also see something else that's new and very trendy; Apps. All you need to know for now is that all those apps are actually Lists or Libraries with a specific purpose like the Calendar app or the Tasks app. The great thing about this change is that there's an App store for SharePoint where you can buy or get free apps developed by different organizations like you would find in the App store of your phone. Home: Brings you to the Home Page where you most likely started. Documents: Shows the main Document Library that you can also see inside your Home Page (+ new document). You can directly upload a new document there. Recent: If you haven't done anything yet, you're not supposed to see any link there. However, when you'll create a new List or Library, the link to this new app will appear under "Recent" in the menu and you'll be able to access it quickly. Site Contents: This is like your Site Map where you can see all the content you already have on your site. Even if you haven't created anything in it yet, every List or Library you'll create next will appear there automatically. Finally, you can edit the links available in your quick launch menu and add or remove any link very easily. Above the title of the Team Site "Natasha Learning" there's a tiny link named "Natasha Learning" and besides, there's the "Edit Links" to add or remove any link from that quick launch menu. This is something you'll find in every different page when you're in SharePoint. The "Ribbon" consists of the little tabs you see at the top of your page (in this case Browse and Page). Page: When you click on this tab, you have different actions you can do on your page. You'll see very quickly that there's a description of each choice when you hover them. This is a major menu that will follow you throughout every page. This menu includes the social aspect of your site, other page settings and most importantly, your site settings! We won't go through every options you got there, because it can get very complicated. Newsfeed: This is your My Site Newsfeed where you'll see the news coming from the sites you are following. My Site is the social aspect of SharePoint that allows you to be informed and interact with what's relevant to you in SharePoint. OneDrive: Previously called SkyDrive, this is a place where you can upload documents, photos and so on and then you can share them with any colleagues. There's a very popular article on our blog that compares SkyDrive and Dropbox if you are a bit curious. Sites: This is a place where you can see everything that's happening on the sites you're following. To follow a site, you only need to click on the little star in the menu that says "follow" when you're in it. Share: You can share your site with other people. Follow: We already covered this one before. You click on this button when you're on a Site you'd like to follow in your "My Site" afterwards. Sync: When you choose this option, SharePoint creates a copy on your computer of the List or Library available on the page. *Note that you need a OneDrive for Business license to be able to use this feature. You probably won't have a lot of use for these social features at first. But they can be very useful when you're involved in many sites and you need to keep an eye on what's happening in each one of them. Beside your name, there's a little setting icon and this is where you'll find the settings of your Site. You also have many other actions to choose from like add a new page to your Site or edit the page itself, which is the same as the "Edit" button that we'll explain below. There are many other actions you can do on your Site available in that menu that we won't cover here. Edit: This is where you'll be able to edit your page. You can change the font, the location of every part of your page, you can add an app and so on. This is the moment to let your creativity operate. When you're in one of your List or Library, you'll see the famous Ribbon we talked about earlier. You've probably already realized that it's not the same one as in the Home Page. In a SharePoint List, you have a tab for your items and a tab for your List. Quick Edit: You can edit many items at the same time with this option. When you select the quick edit, your entire List gets into an edit mode and you can bulk edit any item in your list. We're going to look into actions yet as we cover it in another article. Know that the main goal here is to be able to locate each option in order to find them when we get there later. Create Column: This is how you create a List column. Refer to the previous articles of this series to know what column to pick! In the Library, we also have a ribbon at the top of the page with two new tabs: Files and Library. When you open the two different tabs, you'll see that the menu is basically the same between Files & Items and List & Library. The only thing we'll look at here are the check in/ check out actions. Everyone should know what this is. One of my colleague once had a problem with a file that wouldn't have happened if he knew the existence of the check in/ check out options. It's very simple, when you check out a document, no one can edit that document at the same time as you do. This way, you make sure there are no conflicting changes in your file. Then, when you're done, you can check in and someone else can edit the document afterwards. My colleague lost all the modifications he made in a PowerPoint document right before a meeting, because there were two persons modifying the file. There's nothing new to learn here, because the actions you can do on your List are basically the same as the ones you can do on your Library. The important thing again, is to know where to find those actions when we'll need them.